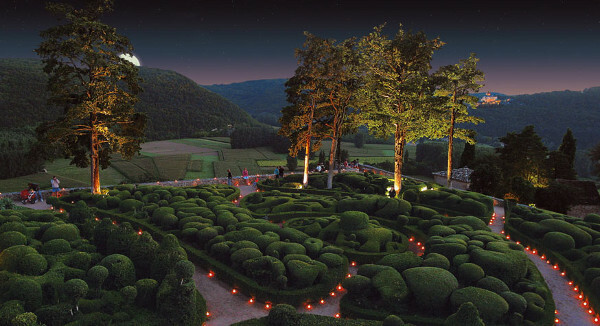 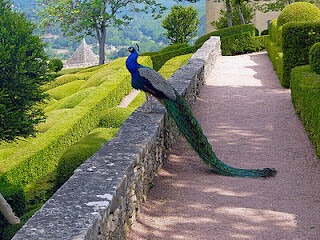 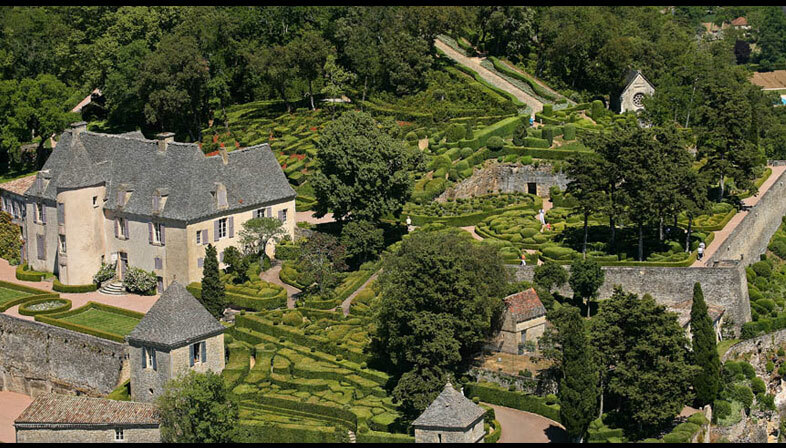 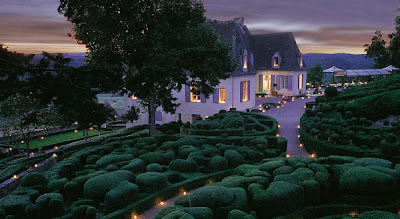 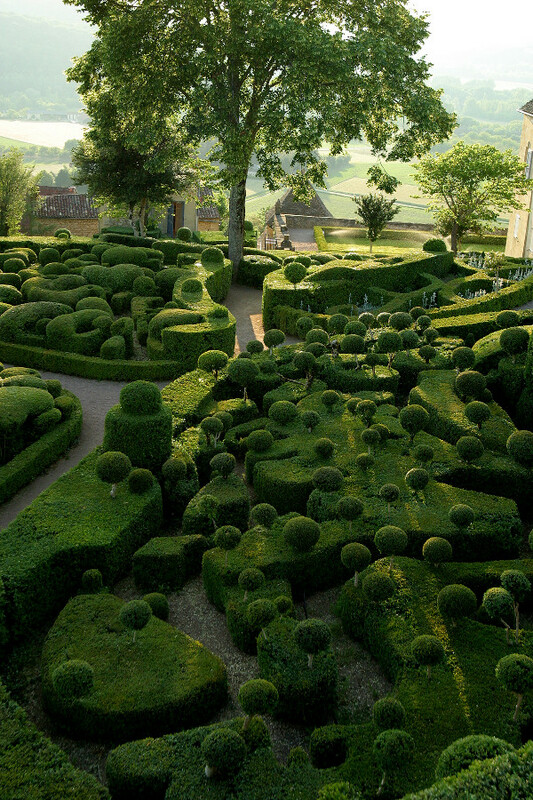 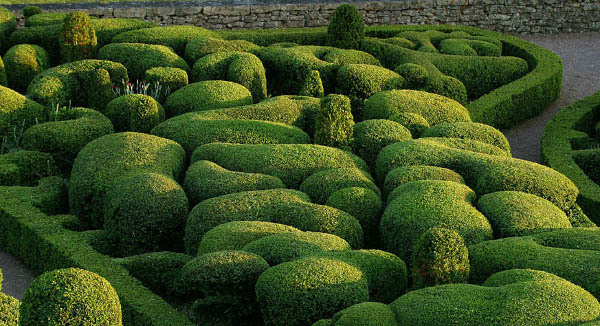 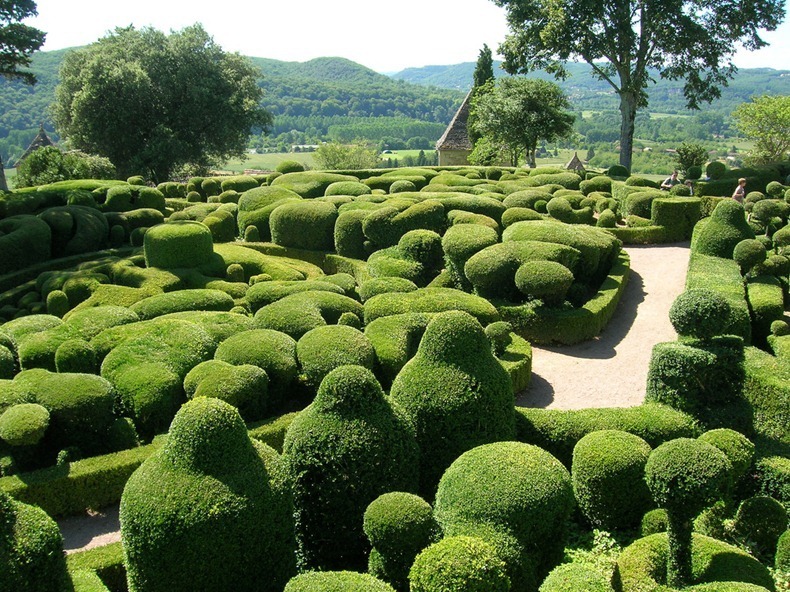 If foliage frolicking is high on your holiday wish list, then, if you haven't already, acquaint yourself with the Hanging Gardens of Marqueyssac. 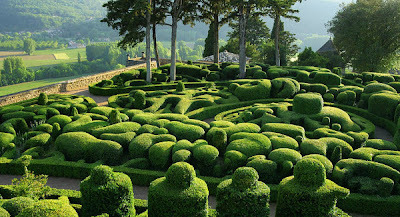 Laid out on a cliff overlooking the Dordogne valley between Beynac and La Roque-Gageac, the Marqueyssac gardens cover an area of ​​22 hectares. There are over 150,000 hand carved century-old box-trees and adorned with belvederes, rocks, water, grass glades, dry-stone huts, roundabout, a Gothic chapel, and playgrounds for children. 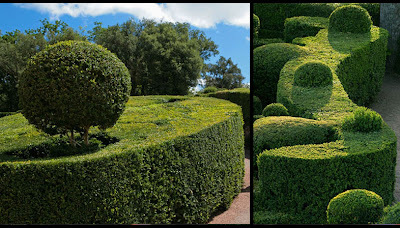 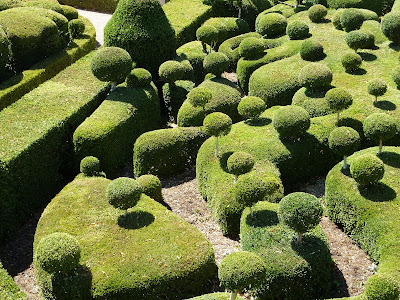 The area is full of treasures like this, and if you like your hedges a little more boxy, as I tend to, then there are gardens at the Manoir d'Eyrignac.